First you'll have to download subtitles of course. Usually they are .srt files. 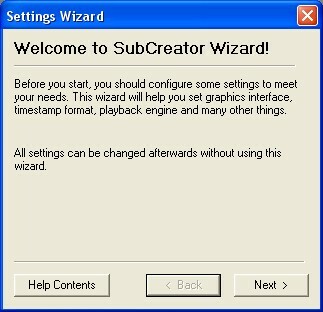 Open subcreator, you'll see this configuration window first, click next. You don't have to change the subtitle font here yet, we'll do that later. 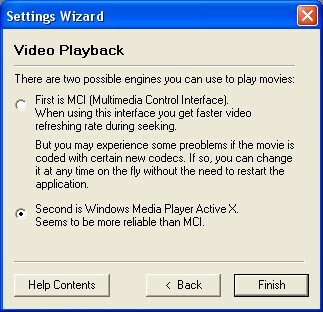 Choose the second option, Windows Media Player Active X, this will work properly. Clcik FInish. 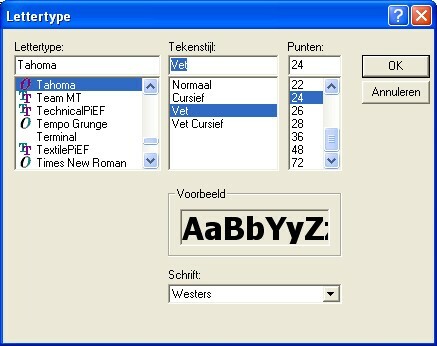 Click open in the file-menu. 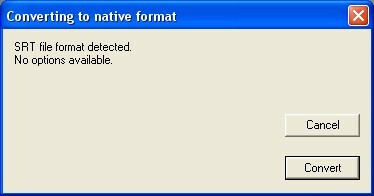 You'll have to open the srt file you downloaded. Click convert when it asks to. 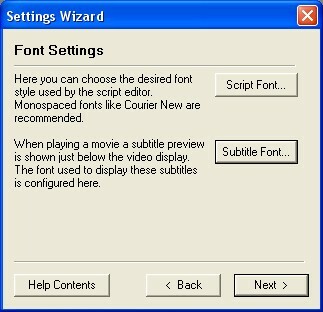 To syncronize the subtitle, go to the textbox, rightclick, click on select all. 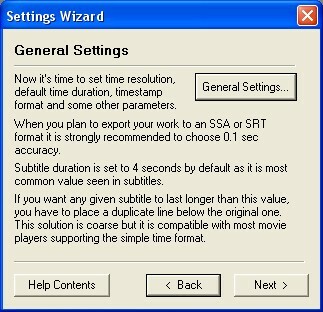 Then go to Timing, and Increase timestap (if the subtitles appear too early) or Decrease timestamp (if the subtitles appear too late). Make sure you use the same colours (look at the four colored squares) as in the picture. Then click convert, and then click Save to File. When you installed GSpot, open the program, go to file -> open. Write down the audio bitrate, in this picture, it's 157 kb/s. Above the bitrate you see what audio codec is used. Usually this is MP3, if not, read the small guide at the end of this page, and proceed normally. First you'll need to unzip the Virtualdub package. 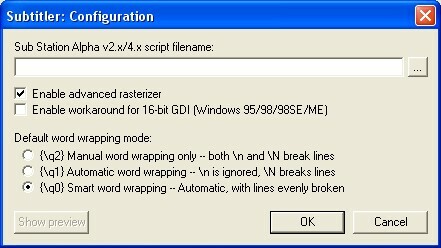 Second you need to install the subtitler filter! Unzip the package into the plugins folder in your Virtualdub map. Open Virtualdub, click file, click open video file. Then check in the videomenu, if full processing mode is checked and in the audiomenu if Direct Stream Copy is checked. You'll get a pop-up, click on the button, near the text box and open the subtitle (ssa) file, we saved earlier. Then click ok. If you see two black boxes and one is not fully visable, rightclick in the first box, choose 25%, then maximize the screen. Go to options -> uncheck display input video. Make sure you use a compression! Otherwise the file will be very very big. Go to Video -> Compression. Choose Divx. Go to configure. Change the speed of compression into normal, for the best quality of video. In this screen you also have to enter the bitrate. Go to this site http://www.videohelp.com/calc.htm. Change type into Divx. Change audio bitrate into the one you wrote down. Change the length (runtime) into the one written down. Enter the number of CD's you want to use (if you are not going to write the file on CD, just enter 1) and the filesize. Write the calculated bitrate down. 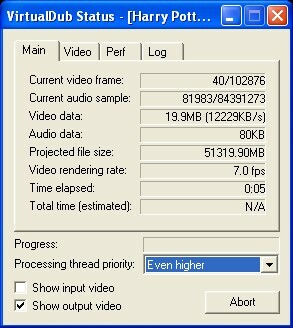 Use this video bitrate at the Divx compression configuration window. If the audio codec is not MP3. When you have chosen the bitrate and entered it succesfully, go to the audio menu, select Full Processing Mode, and go to compression. Select MP3, and choose in the right screen the bitrate.